Firepower are the UK importer for Klover; an innovative and responsive manufacturer based in Northern Italy. 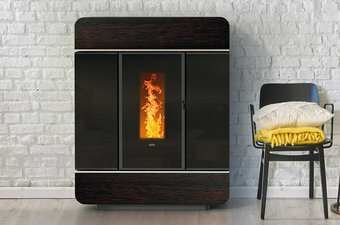 They produce wood pellet cooker boilers, wood pellet stoves and boilers. The name Klover is synonymous with engineering excellence and their stoves are known for their reliability and build quality. 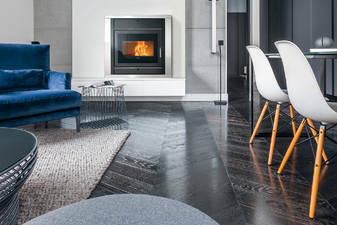 This family-run Italian firm use the utmost care and attention to detail in the manufacture of their stoves, which represent the widest range of MCS-accredited pellet stoves in the UK. The government RHI grant scheme means that you could get yearly payments for 7 years when you install an MCS-registered and RHI-eligible Klover pellet boiler. So not only can you shift to a fuel cheaper than LPG or oil, but typically the grant also ends up covering the cost of the boiler and installation with some left over. Klover pellet boilers are supplied and installed through approved local dealers. Please contact us to find your nearest Klover dealer. 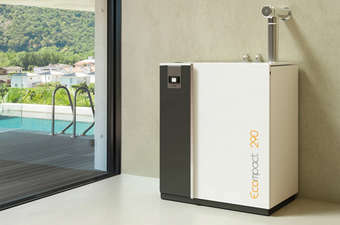 The range includes stylish kitchen pellet boilers, in-room and utility pellet boilers, and dual log-and-pellet boilers. From the internal parts to the external finish, Klover never scrimp on specification, which really shines through. 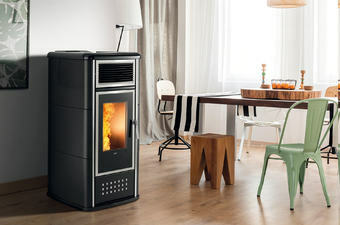 As well as being superbly built, Klover pellet stoves are totally automated, highly efficient, and offer an environmentally friendly way to heat your home. 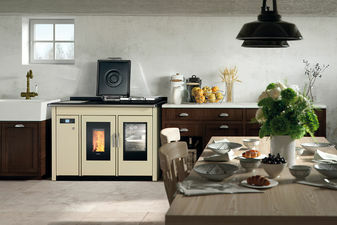 Smart wood pellet central heating cookers are a stunning addition to your kitchen. Available in modern or traditional styles. The cookers also qualify for the RHI grant scheme too. 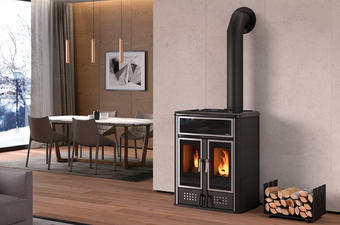 The Diva Slim is a lovely slimline pellet stove suitable for a wide variety of rooms given the depth of the stove being so narrow. 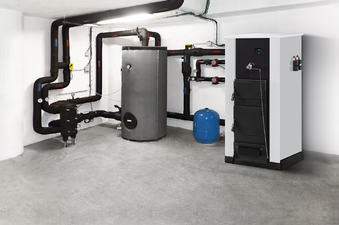 Designed for installation in a boiler room, garage, or outhouse these wood pellet utility boilers can heat the whole house and they also qualify for the government RHI grant scheme. This sleek stylish pellet boiler comes with optional fans to circulate air around the room, with enough output to happily supply heating and hot water. 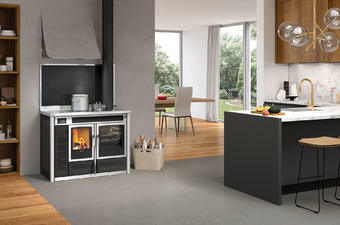 The Klover Altea is a woodburning central heating cooker that can easily power a whole house. The Klover Star 18 wood pellet boiler is ideal for providing domestic hot water and topup heating in a well insulated house. These Klover wood pellet inset boilers are designed to be built into the wall or into a chamber or pod in the room. 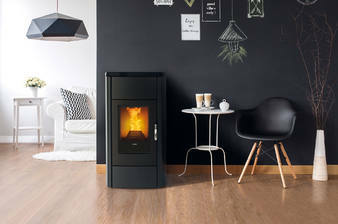 When you want a stylish, automated and reliable stove then a Klover Dea wood pellet stove is just the thing. 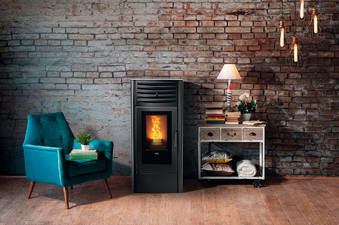 These boilers give you the best of both worlds; burn your own logs whenever you want but always have the fallback of automated wood pellet heating. Simple, robust and effective these Klover log boilers have stainless heat exchange tubes making them ideal for heating swimming pools.